Scare yourself silly with haunted storytelling that is accentuated by special effects, secret doors and narrators that go missing. Tales of hurricanes, pirates and true love are all part of the ghostly experience. Live shows are presented by the dead every 30 minutes. 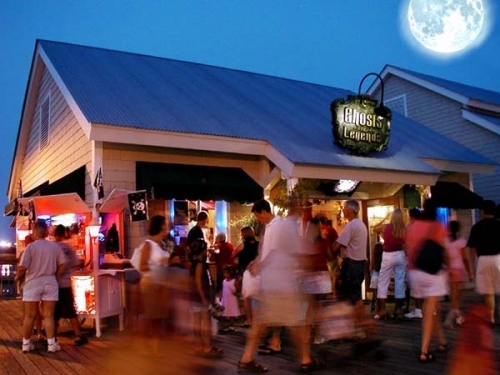 The Ghosts and Legends Walking Tour lasts 90 minutes and takes you to Barefoot Landing’s darkest corners, which are rarely seen by the daytime shoppers. Explore haunted swamps and historic sites on this walking tour. Reservations are required.